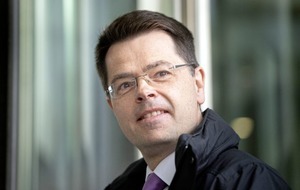 Cabinet minister James Brokenshire said preparations for a no-deal Brexit were being stepped up in case Theresa May's plan is rejected by MPs in January. 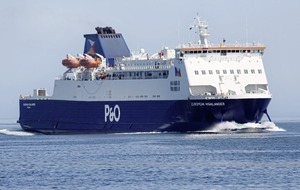 Lorries have overturned on a ferry sailing from Larne to Cairnryan in high winds, prompting a major emergency response. 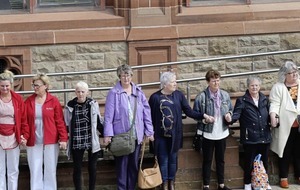 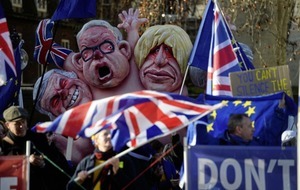 A COLOURFUL anti-Brexit demonstration has taken place at the border. 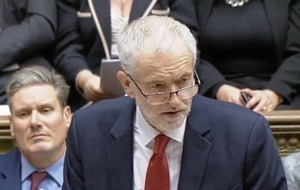 JEREMY Corbyn tabled Labour's no-confidence motion against British prime minister Theresa May after a three-hour political merry-go-round in parliament. 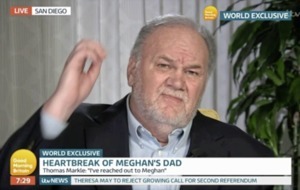 The Duchess of Sussex's father Thomas Markle has appealed to the queen to help heal the growing rift between himself and his daughter. 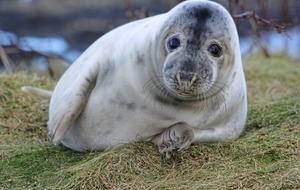 Seal pups around the UK coast are at risk from toxic chemicals present in their mothers' milk, new research has found. 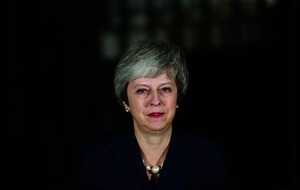 Her premiership was always on borrowed time, more of a coronation than a popular appointment, Theresa May's decision to call a disastrous snap election weakened her further. 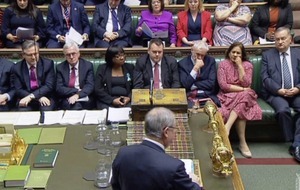 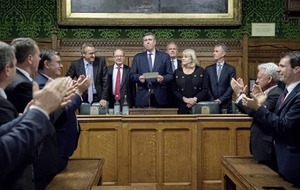 Theresa May looks set to see off a challenge to her leadership of the Conservative Party, as scores of Tory MPs made public statements of support ahead of a confidence vote. 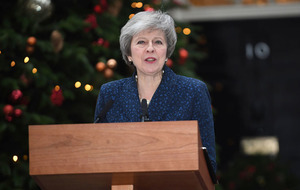 British Prime Minister Theresa May has vowed to fight an effort to oust her as Conservative leader and prime minister "with everything I've got". 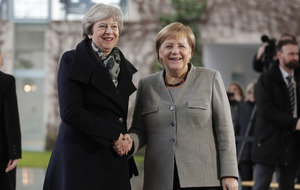 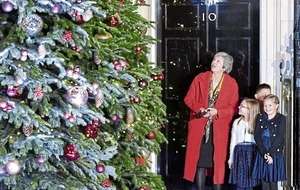 Theresa May has brushed aside speculation of an impending vote of no confidence in her as prime minister, insisting she is focusing on securing reassurances from EU leaders about her Brexit deal. 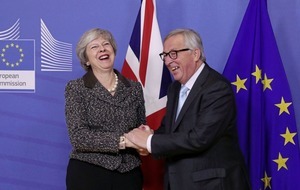 Theresa May will travel to Dublin following a cabinet on Wednesday afternoon for talks on Brexit with Taioseach Leo Varadkar. 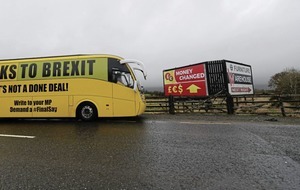 Brussels recognised the need to time-limit the Irish border backstop before officials took negotiations in "another direction", a former Brexit secretary has suggested. 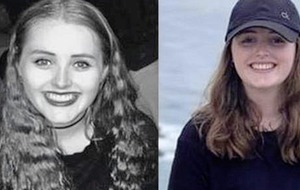 A BODY believed to be British backpacker Grace Millane has been found near a beauty spot on the outskirts of Auckland. 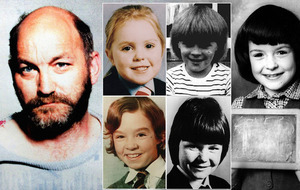 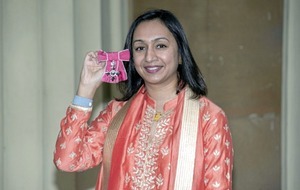 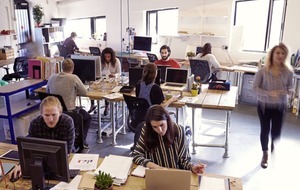 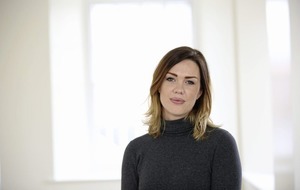 A female structural engineer awarded an MBE for services to the industry said she still gets mistaken for a secretary. 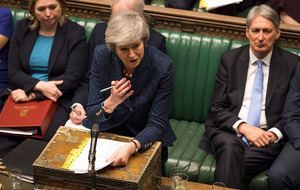 Theresa May has signalled that MPs could be given the power to decide whether the UK goes into a controversial Brexit backstop arrangement regarding the Irish border. 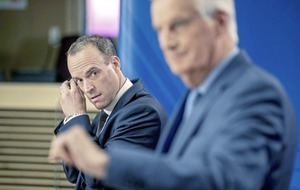 THE backstop provision in the Brexit deal could continue indefinitely "unless and until it is superseded" by a new agreement, according to government legal advice.